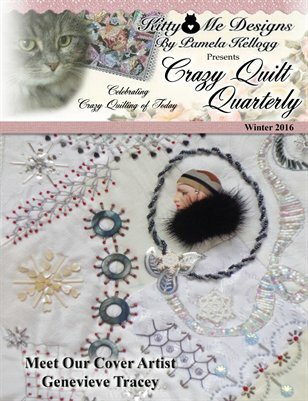 The Winter 2016 issue of Crazy Quilt Quarterly magazine is filled with crazy quilt articles, tutorials and eye candy. Projects include a Crazy Quilt Santa Claus, Shibori Ribbon Seahorse, Circle Block Patterns for every season and more. Seam treatments and vintage embroidery patterns are included.